He had been announcing it for months. In his visit to Barcelona before the summer, he already told us about his soon-to-be-published book, Fruits, which reflects his brilliant work as a renovator of French pastry, which has earned him unanimous recognition both from the professional sector and the general public, and which can now be purchased through our online store called Books for Chefs. He is Cédric Grolet, the pastry chef of Le Meurice, and one of the figures that has most shone recently under the umbrella of Alain Ducasse. 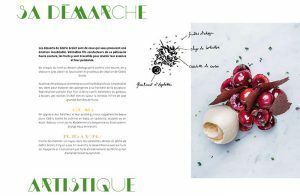 In this book, the author synthesizes his effort to find a balance between, on the one hand, the beauty and technical perfection of the presentation of a dessert or cake, and, on the other, the search for pure and intense flavors, completely renewed with respect for traditional French recipes. We have spoken with him about this book, his work at Le Meurice, and the popularity of the pastry shop, among other things. Why fruit? What pushes you to approach a pastry book with this theme? 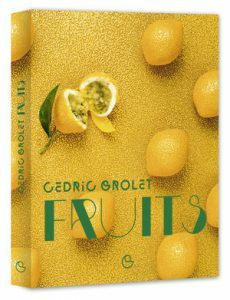 What I find essential in this book is bringing to mind the importance of fruits and the essential role they play in pastry, whether they come from our home or from the other side of the world. I constantly wonder how to give them the best possible homage. And why this structure in different types of fruits, are their treatment to get the best out of them in a dessert so different? I never forget that each fruit is unique and that its flavor should be emphasized in a specific way. A citrus fruit, for example, will express all its power in a fresh composition, while the taste of the strawberry is best distinguished when it is simply cooked, heated with a little sugar and a drizzle of olive oil. 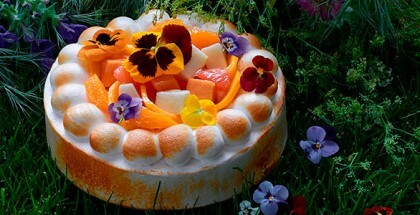 How many of these desserts can be enjoyed today in Le Meurice? It depends on the seasons, but around a dozen are present on the menu. What importance do you give to the playful aspect of a dessert, to surprise, to the play of forms that seem to emulate reality? 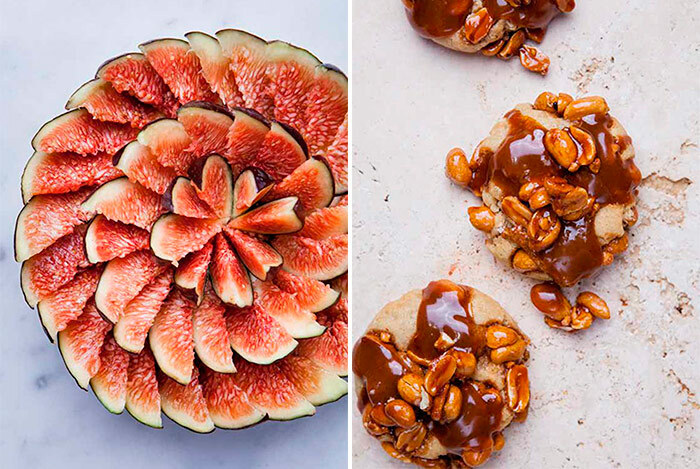 Respecting the nature of the fruit is the first condition to making very good desserts. Then I have to think of a condiment to highlight its character and sublimate it in order to provoke real emotions and invoke memories. Some fruits are very good al natural, but they are still better when their flavor is concentrated, when they are reduced to the essentials. I want my dessert to be understandable to the naked eye, that the flavor is identical to what you see. Has the artistic side of the book been easy for you, working alongside editors and photographers who knew how to express your dessert philosophy? Yes. I had already worked with Pierre Monetta, he knows my desserts and has the talent to reflect them in his magnificent photos. But also with Pierre Tachon, the artistic director, who has done an incredible job with the graphic design of the book. How is your work at Le Meurice today, with Jocelyn Herland, with Alain Ducasse? 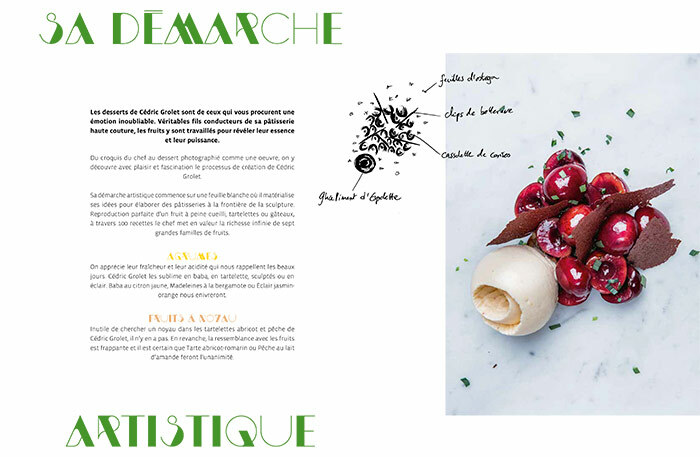 Are there ways to inspire or be inspired by the savory part of Le Meurice? I work directly with Alain Ducasse. He knows who I am, he respects me and gives me freedom. Not a single day goes by without him being interested in what I do, and this impels me to seek boldness and perfection. I admire him a lot, he is a visionary leader and I am lucky to have this relationship with him. Every day I work with Jocelyn Herland, we have both found a total cohesion between the savory part and the sweet part. The concern for health, for allergens, for the reduction of sugar or fats in our diet is becoming a phenomenon of utmost importance. Do you raise these issues when it comes to working on your desserts? I give great importance to the origin of the products. I spend time choosing the best possible fruit: is it mature enough? Is it seasonal? … Respecting the nature of the fruit is the first condition for making very good desserts. 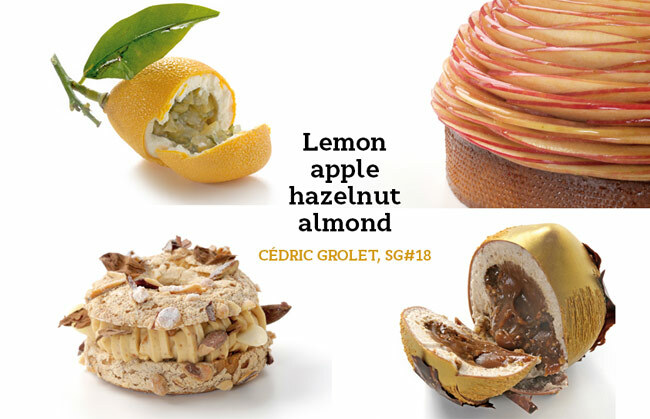 New French pastry attracts great interest in the whole country and around the world. What do you think awakens so much popularity among professionals like you? Did you imagine this popularity 5 years ago or even less? 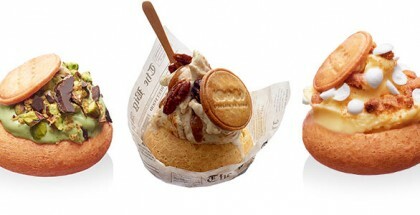 Never before had I imagined that pastry would arouse such interest and popularity, both in France and around the world.